We drive and build products from concept to creation for partners like you who envision disruptive web products of impact. 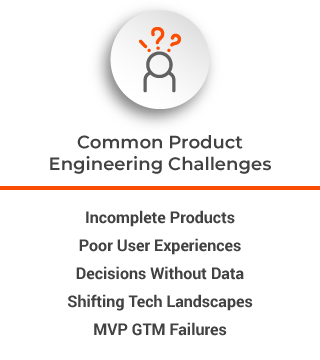 Our engineering service is used to accelerate product development with agility. With well over 100+ engagements with recognizable partners, we are ready to rise above common challenges to transform new ideas into market realities. What does Axelerant do for partners? Throughout the product roadmap, we provide end-to-end consulting and advisory services on ideation, product launch, go to market strategies, and growth marketing services. Our Software Engineers in conjunction with our strategy team create the architecture of applications which incorporate and consider business needs which shift and evolve. Axelerant UX/UI designers and our marketing team work together map user journeys, flows, and intelligent wireframes—experience designs for end-users come first. We drive iterative development with our partners with key tech and platforms for a faster time to market at scale, with security and future support considered. QA Engineering can not be an afterthought but an independent and serious initiative from the beginning; we put the right automation frameworks in place. Our development and DevOps specialists collaborate to automate end-to-end delivery pipelines for faster, safer, and more dynamic product engineering projects. Here's how we move ideas forward. Unless otherwise requested, our team follows our own service operations scope—which is then backed by our agile delivery. Further specifications to this are based on requirements detailed through: service level and operational agreements, your preferred approval means (established accountability and reporting), and set standards for continuous improvement. Smooth running operations and delivery cycles. We tailor our workflows to ensure all agency needs are properly addressed with defined checkpoints and integrations, approval processes, and accountability and reporting setups. Performance metrics are measured at the frequency that’s been agreed upon and reported on a weekly or monthly basis by the dedicated Success Manager, or based on need. Delivery begins per the workflow setup, through a determined project management system. The hybrid or blended delivery model is followed to execute project needs as well as critical backup and demand spike requirements.  Our delivery framework for product engineering utilizes Scrum as our execution model. This process can be tailored per project through JIRA or other partner-preferred tools or platforms. The mission: take Synduit’s robust proof of concept and launch and maintain a dynamic platform, and sustainably improve customer experiences post-launch. Ready to talk about your big ideas?